An overrunning clutch is located near the platform gearcase. 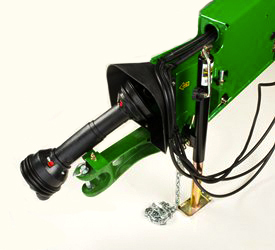 This design enables free rotation of the tractor hookup for easier attaching to the tractor. A slip clutch is incorporated into the overrunning clutch to provide protection to the platform. 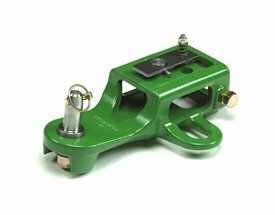 The clevis hitch is in base equipment. 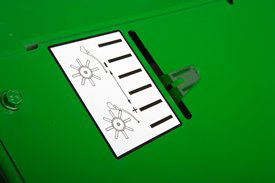 This design attaches directly to the tractor drawbar for operator convenience. 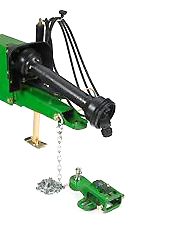 The heavy-duty clevis design provides a strong attaching point to the drawbar. 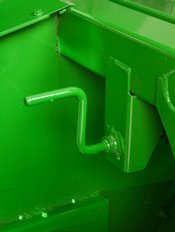 For added convenience, the hitch-pin retaining bracket can also be used to store the PTO shaft when the machine is not attached to the tractor. 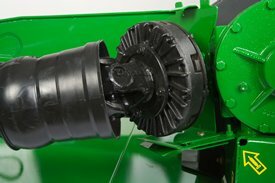 An overrunning clutch is located near the platform gearcase; this design enables free rotation of the tractor hookup to make attaching to the tractor easier.